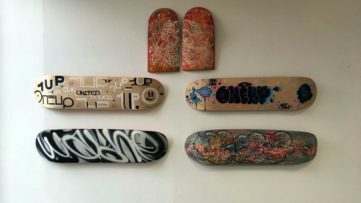 With summer at its end, many street and urban artists are slowly moving their focus from their outdoor adventures to gallery events. 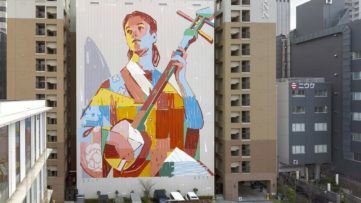 Surely the painting on the streets will not stop, and you are welcome to follow the latest murals on our Facebook page! However, urban and street art admirers should keep their eye on the upcoming exhibitions. 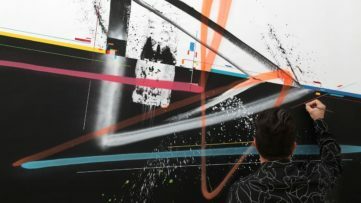 In September, the new edition of CityLeaks festival is bringing some of the leading international urban artists to Cologne and five Weird Crew members will showcase their latest works in New York. If you are wondering what is going on with the rest of the crew, the good news is that Frau Isa has her own solo show in Soest, Germany. And while the Shepard Fairy vs. City of Detroit saga continues, the artist is also preparing his next exhibition at Jacob Lewis Gallery. It also seems that the Dismaland frenzy has inspired other artists to organize their own secret pop-up exhibitions, one of them being LUSH in Melbourne. With so much amazing things going on in the world of street art, surely some younger audiences are inspired to try their luck in the field, and perhaps some of the best ways to start is by mastering the lettering style with some original fonts, or listening to advice of renowned artists like WD who recently shared an interview with Widewalls. 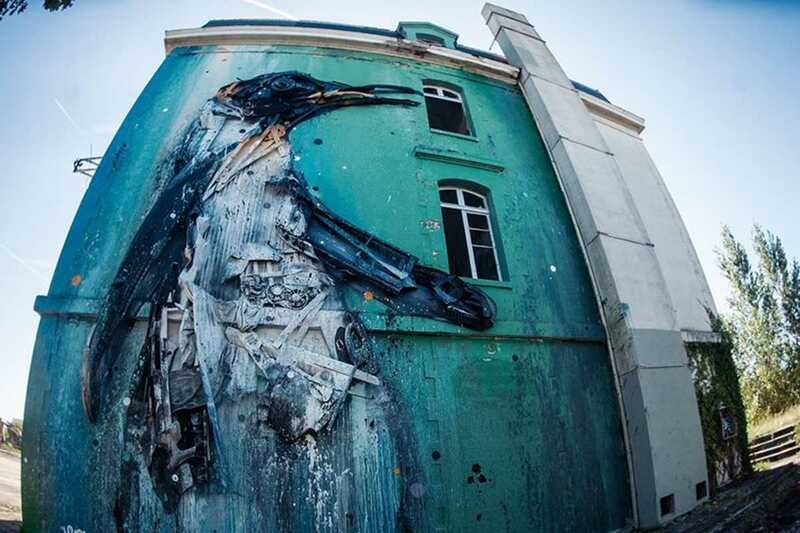 As the participant in this year’s Ocean Climax Festival in Bordeaux, France, the Portuguese artist Bordalo II just finished working on one of his signature pieces. Taking place at Darwin Ecosystem, the Ocean Climax music and art festival aims to raise awareness of today’s environment problems and the work of this artist perfectly aligns with the main theme. Throughout his work, Bordalo II addresses the same issues by creating animal sculptures from discarded and recycled materials often responsible for the destruction of their natural habitats. This week we can expect Bordalo’s new work from Norway, created for the NuArt Street Art Festival. 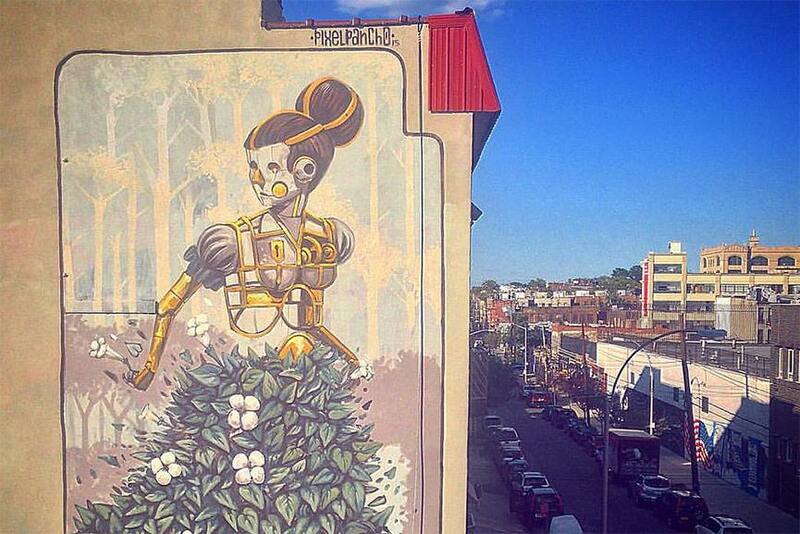 Italian artist Pixel Pancho is currently visiting the United States, and while he was in New York, he brought to life another of his famous robot figures clothed with leaves and flowers. 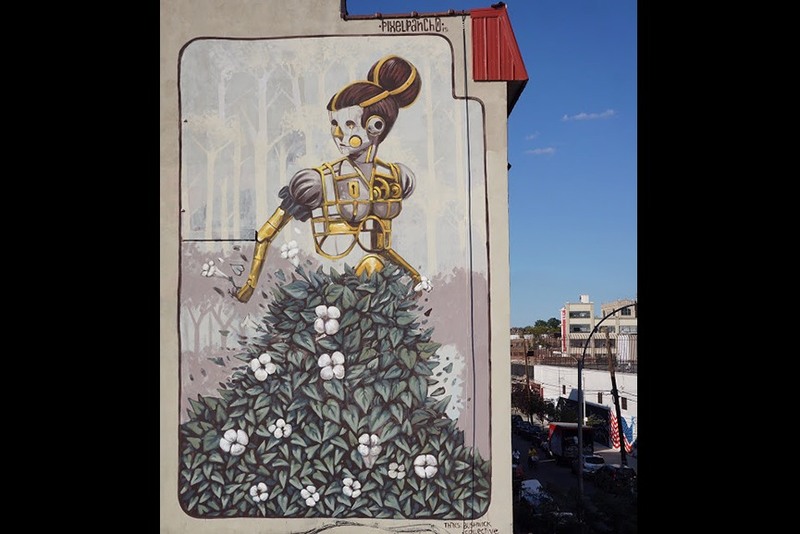 The piece was made for the outdoor street art gallery – the Bushwick Collective, located in Brooklyn. Just like many of his previous large-scale murals, this one continues the line of Pixel Pancho’s mechanical characters immersed in natural environment, a grotesque and surreal, but beautiful representation of Pixel Pancho’s art inspiration. Along with Borondo, DotDotDot, M-City and several others, Spanish artist Deih was invited to participate in this year’s UpNorth Street Art Festival in Norwegian town of Sulitjelma. Comic book aesthetics are often explored in many of Deih’s works, whether it is his illustration or his public paintings. 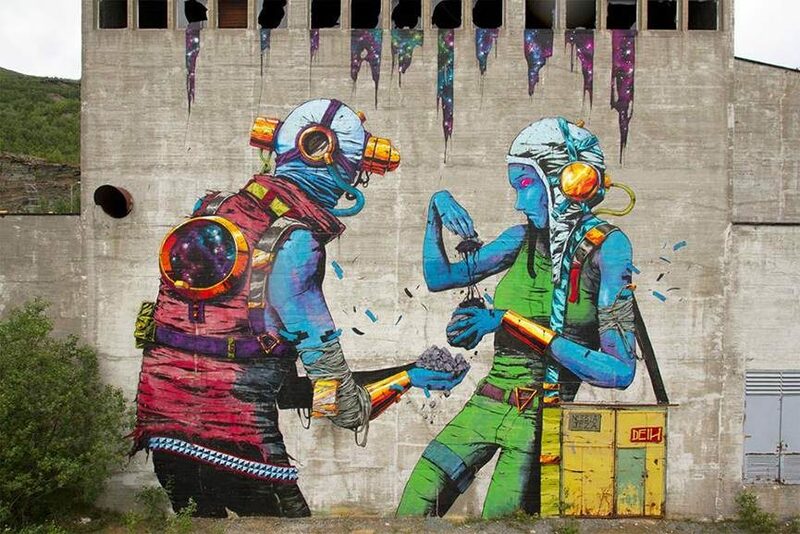 This time the large-scale mural brings some of the trademark cyberpunk scenery of the artist, with two peculiar but extraordinary characters done in the comic style of portraiture. 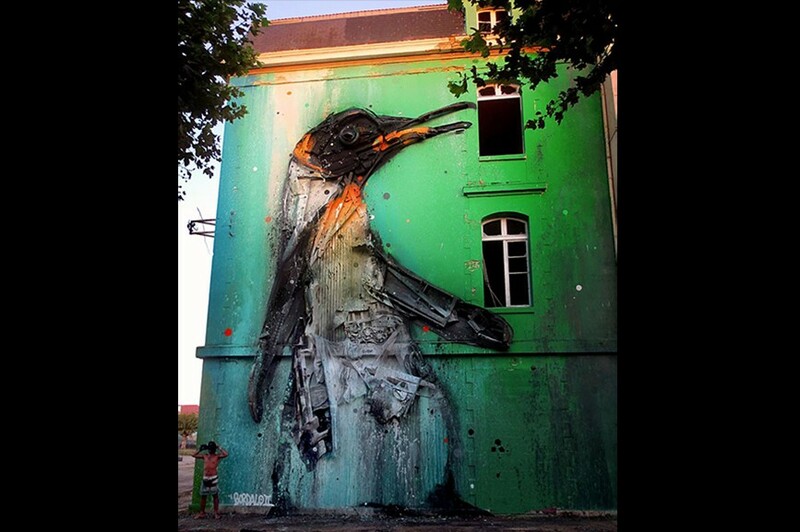 Belgian street artist ROA was recently the first artist in residence in the new art program initiated by Justkids. His one month visit to San Juan in Puerto Rico is already showing several new murals. Famous for his detailed black and white animal representations, ROA’s menagerie just got richer for another inhabitant, this time one of the endangered species. 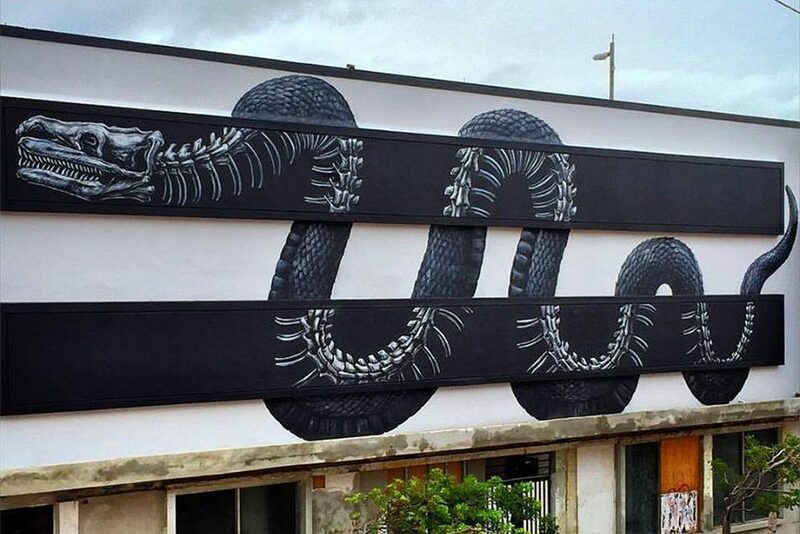 Boa snake is one of his latest pieces on the streets of San Juan and who knows what will be the next one in the amazing series before he leaves Puerto Rico. After their trip to Georgia and participation at the Blick Festival in Batumi, Innerfields collective is back in Germany where they just created a new YOLO piece. 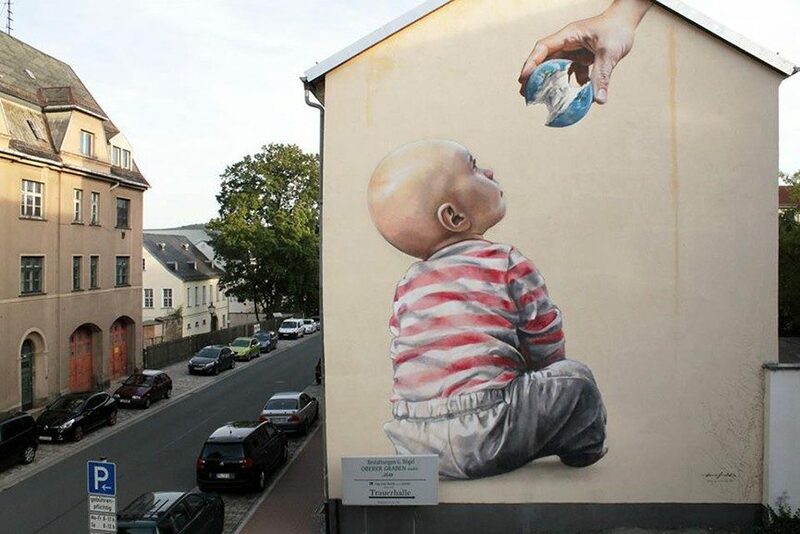 Just like the couple of other murals featured today, this new public piece by Innerfields addresses the current environment conditions, questioning the way we treat our Planet and the way we destroy its resources for the next generations. The mural was created for the tenth anniversary of IBUG, Urban Culture Festival in Plauen, Germany. For more astonishing public art pieces worldwide sign up for My Widewalls for FREE!